Bio: Seychelle Dunn-Corbin is a saxophonist known for her inclusion of African American artistry in performance and education. Having attended Morgan State Univeristy, Seychelle furthered her education at Longy School of Music of Bard College in Cambridge, Ma earning her graduate performance diploma while studying with classical saxophonist Kenneth Radnofsky. She is highly involved with the surrounding community having served as board member of the Ashmont Hill Chamber Music Society and currently as the Director of Educational Programming with Castle of our Skins; an organization that promotes and celebrates black artistry. Seychelle has dedicated her musical and artistic exploration to preserving and discovering the music of black composers and musicians in both classical and contemporary styles. She has commissioned several pieces for both saxophone & piano, as well as saxophone quartet, and mixed ensemble. Seychelle currently studies at Boston University as a Doctor of Musical Arts candidate. 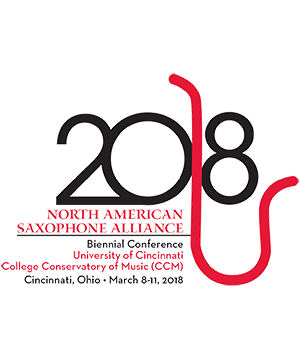 Ensemble Bio: The Area 9 Quartet is a Boston-based ensemble dedicated to exploring the rich, diverse and ever growing chamber music repertoire for saxophone. Recent performances have included works by Bach, Debussy, Glazunov and Vaughan Williams, as well as compositions by Sidney Bechet, Paul McCartney, Freddie Mercury and Herbie Hancock. Area 9 is also proud to have commissioned and debuted new works by contemporary composers, including Jun Feng’s “Somehow, Tango”, performed at the Longy School of Music in Cambridge, MA in 2015, and Michael Kosch’s “Castle in the Air”, which Area 9 premiered at the Metropolitan Playhouse in NYC in December of 2016. Sean Mix Soprano Saxophone Sean Mix is active as a saxophonist and music educator in Boston, Massachusetts. He has performed th . . .
John Rabinowitz Tenor Saxophone John Rabinowitz studied classical piano and music theory at the Longy School before taking up his sa . . .
Kangyi Liu Baritone Saxophone Kangyi Liu is a native of the southern inland city Changsha in China, where he started playing saxop . . .
Adrienne Baker Piccolo Adrienne's background in music started as toddler active in her church as a pianist and singer, . . .